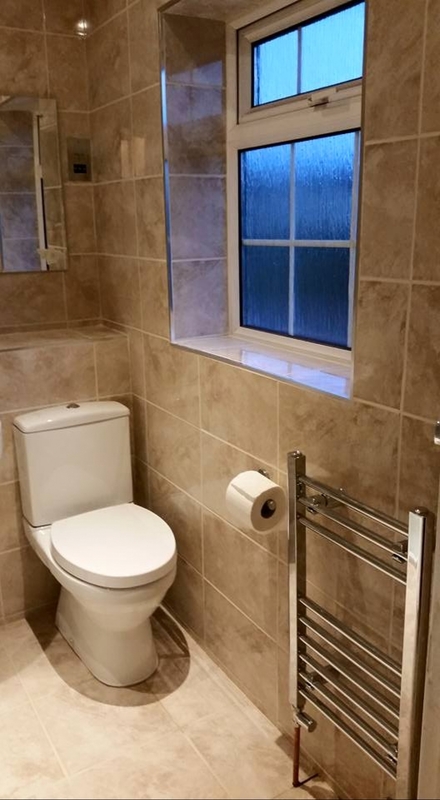 This was a complete strip-out and re-fit of an en-suite which was a distasteful and dated salmon colour. 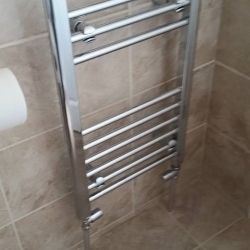 The job consisted of removing all of the old units including bath, electric shower, toilet, sink, accessories, laminate floor, tiles and radiator. 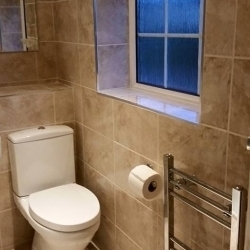 Unfortunately once the bath was removed it was clear the lack of sealant had caused water to seep down and water-damage a floorboard to the point where it was unsafe and needed to be replaced. 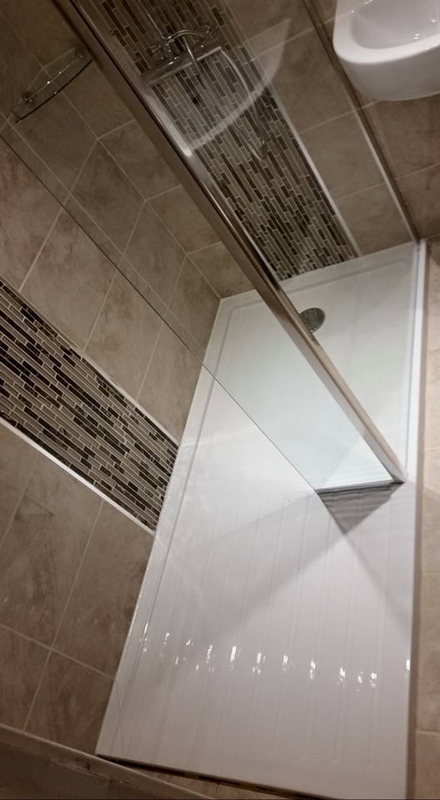 Once stripped right back to bare bones, the lovely new cream polished wall tiles were added with new plasterboard and a water-tight membrane. 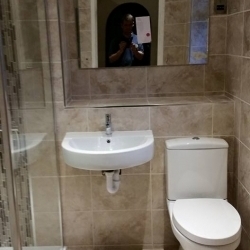 The matt-finish floor tiles in the same colour make this a floor-to-ceiling tiling job which took some careful planning. The walls also had a nice feature tile in two places running floor-to-ceiling and also chrome square beading around the window edges and as a divider between the floor tiles. 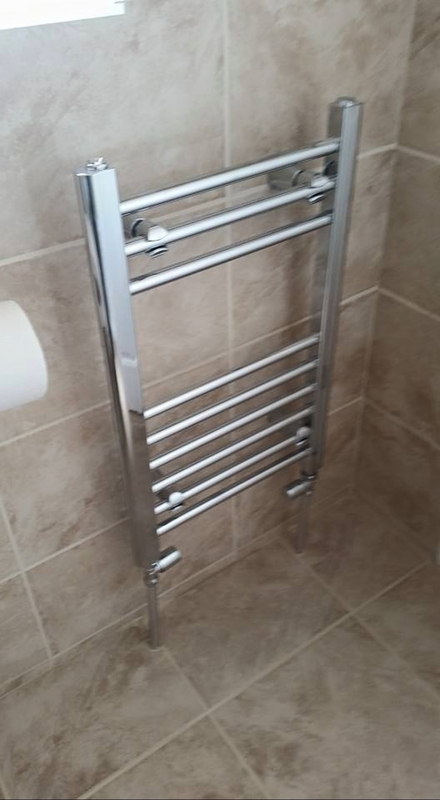 The key feature of the en-suite was the replacement of the bath with a large walk-in shower enclosure with a splash return panel and a new thermostatic shower running off the new combi boiler. 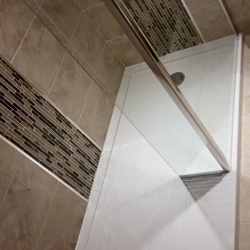 The entire set of accessories was part of the job including heated towel rail and shower shelves for extra convenience for all those bottles. 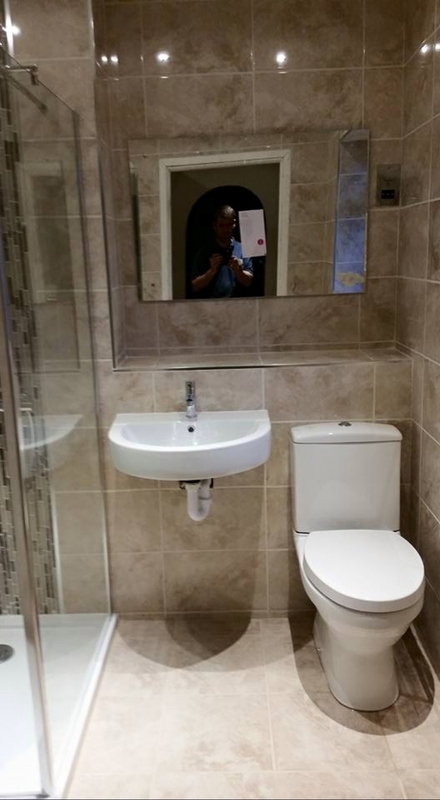 Client is very happy with the job - it's completely transformed the room and feels so much more spacious now too.